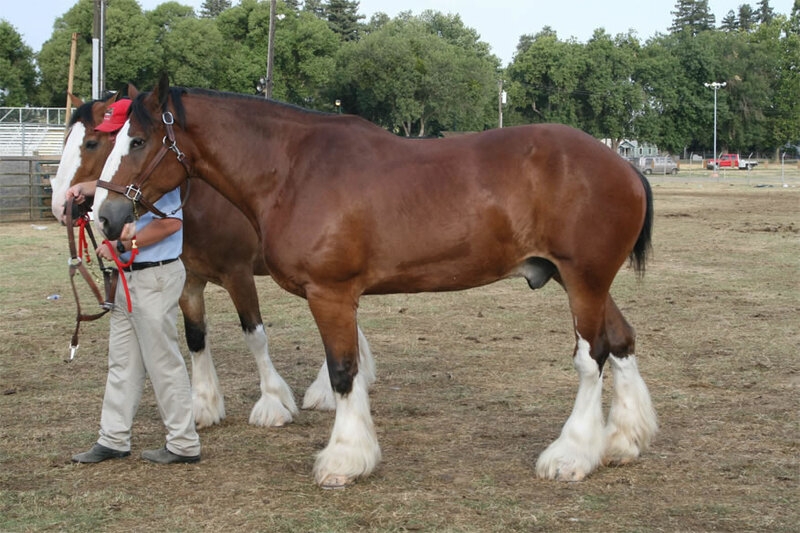 The Clydesdale horses come from Scotland and are considered strong, elegant, and vigorous. They can be used for harness work, agriculture, and riding work. The breed received their name from the Clyde River that flows through the area of Lanarkshire. They can be seen today roaming in Scotland, England, Ireland, Wales, and France. 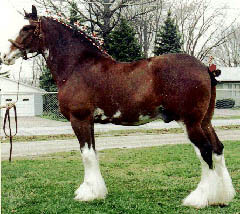 The breed of Clydesdale horses is considered docile and sweet. They can be riding trainers for little ones and have the patience to be very sweet with their respective families. They do not have any training issues when they are young and can do very well on their own all day long as well. Clydesdales stand at around sixteen hands in size. 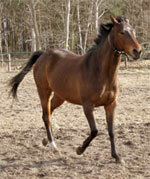 They are generally bred in colors of bay, brown, black, gray, roan, and chestnut. They bode handsome heads with a straight profile, an arched neck, sloping shoulders, a defined wither, a deep body, huge quarters, long legs, and sound, hard feet. The breed is very long and very strong. It is also common for them to have a white forehead. Their backs are deep sprung and they bode feet that are flat but open. 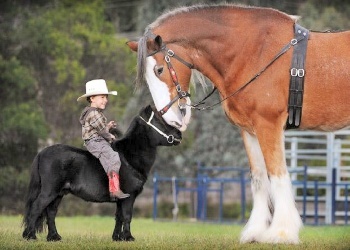 Clydesdale horses are easy to care for. The breed has no reported major illnesses or climate-related restrictions. They are trustworthy and can be left unattended for hours. They can even find their own food and shelter when deemed necessary. The Clydesdale horses derive from Scotland. 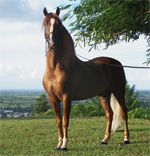 They are considered a stallion that was imported sometime in the seventeen hundreds. The Duke of Hamilton has gained a reputation about these horses coming from the Lanarkshire area. He had a strong influence of them gaining their name, the Clydesdale. The Duke permitted his tenants to use these precious stallions to breed with their mares, and in doing so, it led to the darker tone in their heritage. The other locals decided to trade the Flemish stock somewhere around the 1800’s, one example being the two-year-old that was bought as a result of a dispersal sale. Another very famous example was the Baron of Buchlyvie, which foaled in the nineteen hundreds, which went on to be sold in 1911 for the going price 9,500 pounds. 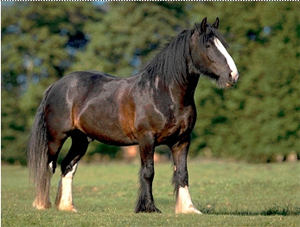 During their highest time in development, the Clydesdale in Scotland had created over 140,000 of the breed. Obviously, the thousands decreased as time went on and the local people decided to utilize cars and motorways versus horse traveling.